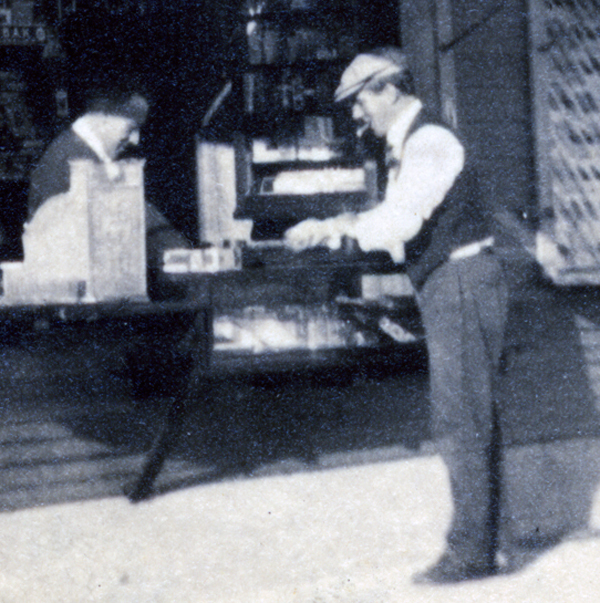 This intriguing little photograph shows a rare close view of the The Joy Zone with a man standing in front of two concession windows. This is probably late in the afternoon, judging by the shadows. In the background, there is a glimpse of the four month old Derby roller coaster midpoint along the right hand edge. 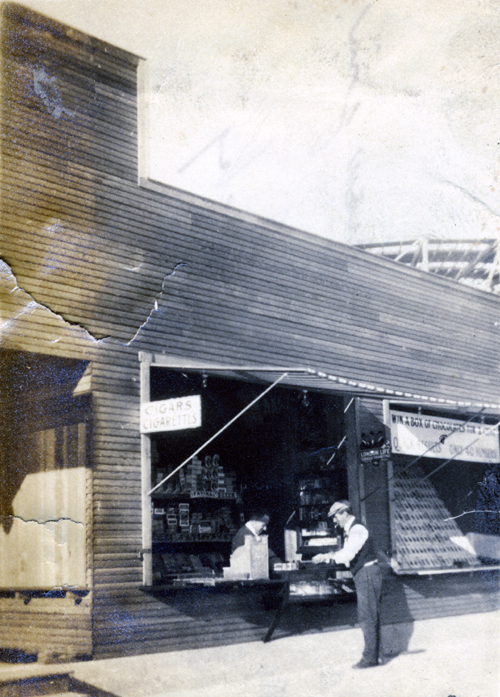 These concession windows were located near what is now the center of the pier’s east parking lot. 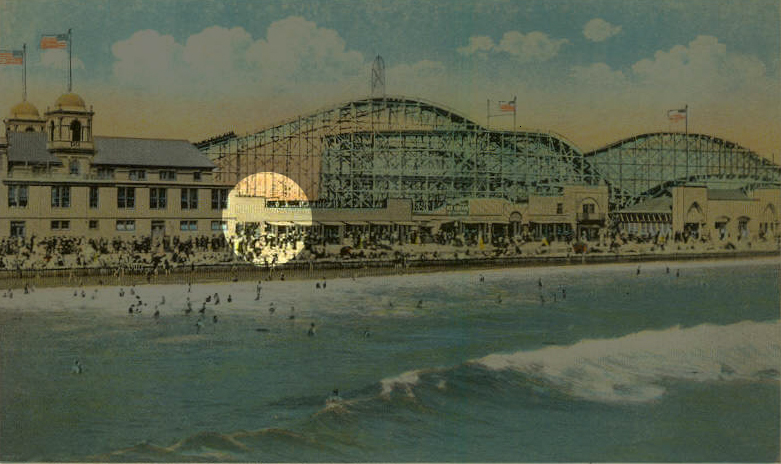 They were housed in a wooden building immediately east of of the dance pavilion as shown in this postcard. This building didn’t last long. It had already been demolished by the time a 1921 aerial shot of Seal Beach was taken. A minor but interesting detail is the light bulbs underneath the awning fore each concession window, indicating that this building was wired for electrical power and the concessions could remain open after sundown to serve the night time crowds. One hopes they only had to stay open nights during the summer and off season weekends because the beach could get mighty chilly and lonesome during the winter. If anyone reading this is an ex-carny, let us know what this game was and how it would work. Here’s an indication of how much times have changed in the past 94 years. 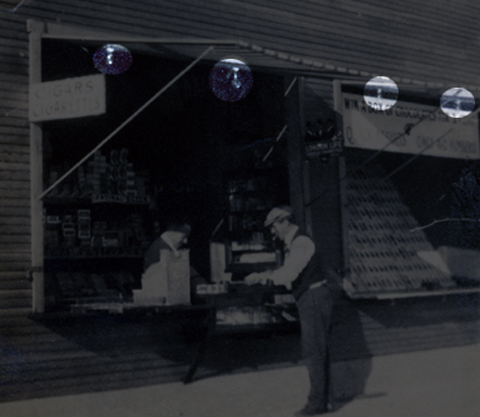 In 1916, tobacco were sold right on the beach. 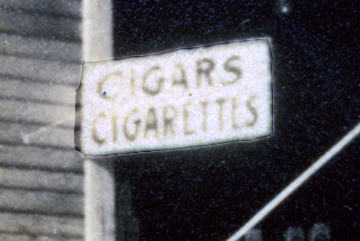 The concession window on the right specialized in cigars and cigarettes. Non-smoking beach goers can sigh a deep breath of relief. 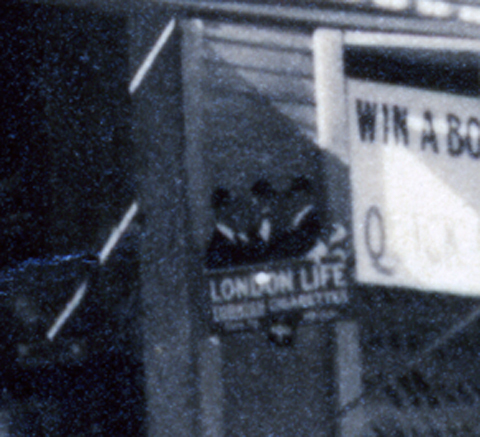 Inside the cigar and cigarette shop, advertisements for Fatima and Obak brand cigarettes can be seen. Before bubblegum companies licensed baseball cards, brands like Fatima and Obak included baseball cards in their cigarette packs. 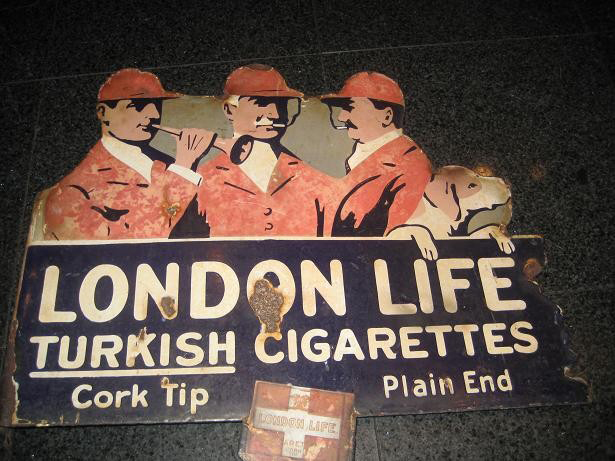 A tin sign advertising London Life Turkish Cigarettes has been installed just on the edge of the cigarette shops window. Ironically, this brand was manufactured neither in Turkey or England, but in New Jersey. Here a color picture of the same tin from an eBay auction in 20008. Tally ho! 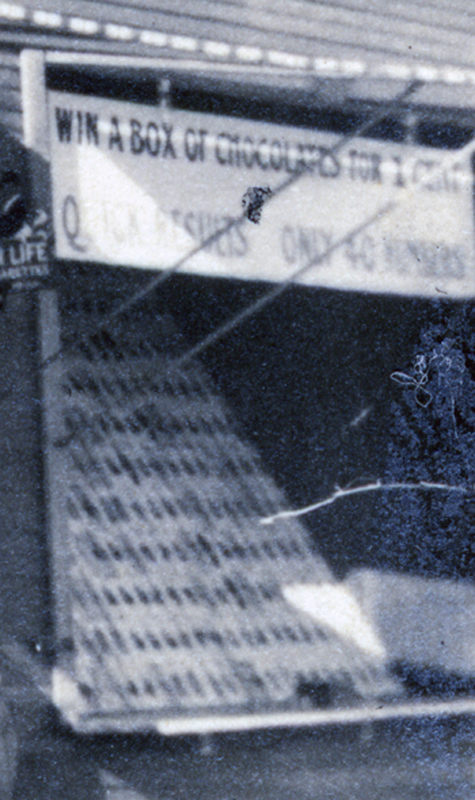 And finally, a larger image also reveals that there are actually two men in this photograph. We can now see a clerk behind the counter next to what is now an antique cash register. It looks like he is reaching into the glass counter display case for whatever high quality tobacco product his discerning customer in the jaunty cap has just chosen. Three months after this photo was taken, President Wilson would be re-elected as a man of peace committed to keeping the U.S. out of the European war. 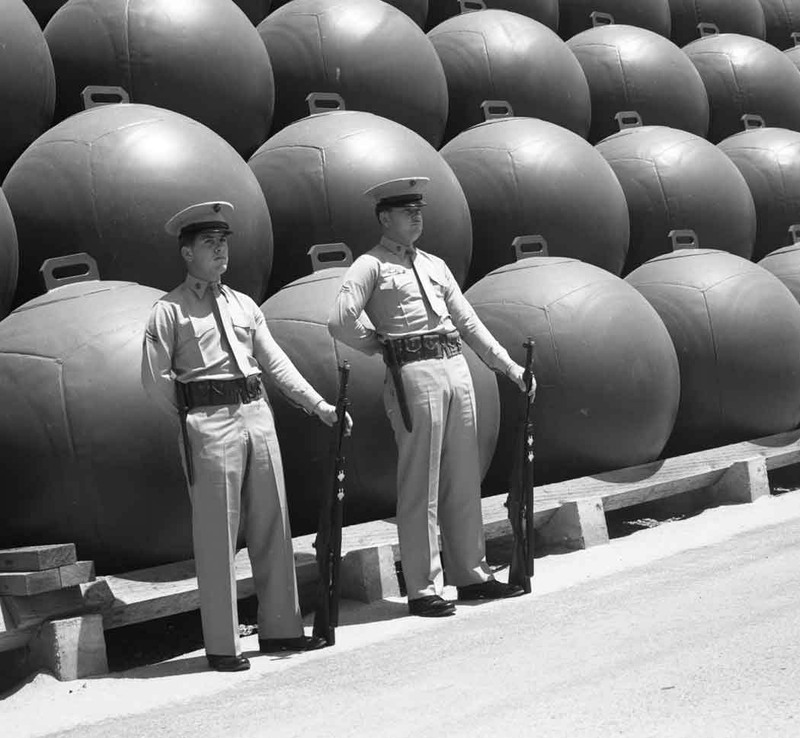 In early 1917, Germany introduced a new policy of unrestricted submarine warfare that also targeted neutral ships, and American finally entered the war. Would either of these two men fight “over there” in European trenches? Three years later in August 1920, American women would finally get the vote. The twenties would bring flappers, the Volstead act, the rising popularity of that wild sinful jazz music, talking movies, broadcast radio networks, and Wall Street boom times. And, ultimately, quite a few years in the future, laws that prohibited smoking in public places. But for the “now” in the moment of this 1916 photo, all of that existed only as possibility. One can’t help wondering how these two men, names lost to history, felt about all the changes their future would soon bring. This entry was posted in Seal Beach History and tagged 1916, Derby, Derby roller coaster, Joy Zone, roller coaster, Seal Beach, Seal Beach History. Bookmark the permalink.